Healthy Ways to Color your Natural Hair. Ladies aren’t you just craving that burst of color in your hair? 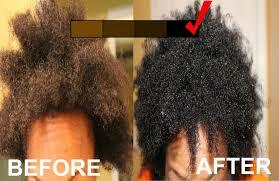 Dying your natural is a very big step but it can also be very exciting and something new. This process might require some chemicals but fortunately there are many ways to ensure that your color will come out just as bright as if you used a chemical. There are two main types of color, permanent and temporary. Permanent hair coloring requires the hair cuticle to be lifted by chemicals and alters the proteins that give us our natural hair color. As a woman with natural hair I am not totally against permanently dying your hair as long as you take care of your hair then you should be fine. If you do decide to permanently dye your hair remember to protect and condition your hair and, also use color enhancing shampoo to maintain the color. Also try not to put too much chemicals in your hair, so if you dyed your hair try not to use any other chemical in your hair for a long time. Temporary color however puts a layer of color on top of the hair strand these are also known as “rinses,” and will fade with several washes. This is a safer approach to coloring your hair and is very common among the natural hair community. However, the down side of henna is that the color might not come out as bright as you would want it. These can be found in any of your local hair stores in any color. 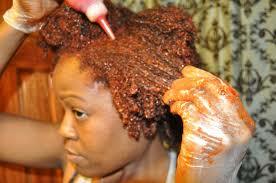 You could also use Henna to temporarily dye your hair which is much safer because there are fewer chemicals. You may have seen henna used as body art on the hands, but it can also be used as a hair color. 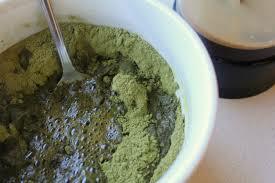 It has been used for centuries as a way to add color to skin and hair. Henna can be available at any African or Asian ethnic market, but you can order it online as well. No matter what method you used to color you hair, make sure you take care of your hair after. I advise you get in the routine of deep conditioning your hair once or even twice a week. Make sure that you keep your hair moisturized as possible because color tends to strip the moister out of your hair and leaves it dry. A color enhancing shampoo is best so it can maintain the level of color and not fade or turn a different color. I’m actually think about dying my hair a blue/purple color myself so I will definitely keep you guys posted with that. 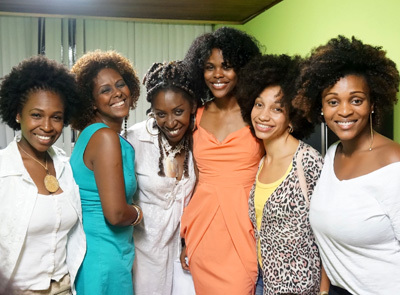 Until next time my natural hair sisters, love yourself and most importantly your hair! Color Matters: The Diversity of Whole Foods. Nature is a varied field of infinite possibilities. With each passing day some new discovery is stumbled upon and Mother Earth tops what we assumed were her greatest creations. She always shows us the best has yet to come. What always surprises me are the many components to every fiber and layer of life created. Every thing has its purpose, it’s specific duty to the world, down to the human body and the food we eat. I’ve always known certain foods were beneficial to us based on taste, texture, and even location, but never thought twice about the meaning of its color. Each representation of the rainbow possesses it’s unique nutrient to help build immunity and fight disease, keeping the body functioning on an optimal level. 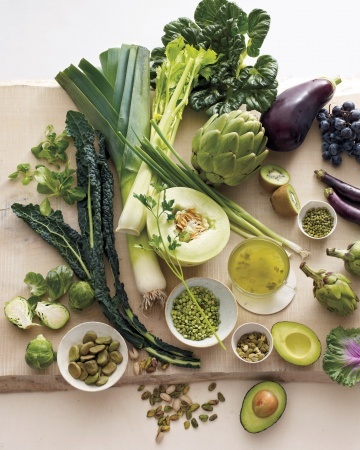 These are foods which contain chlorophyll, the molecule responsible for the process of photosynthesis in plants. Often referred to as the “green blood of plants” because of its close resemblance to red blood cells found in humans. Used mainly for purposes of detoxification, chlorophyll binds to toxins and helps remove them from the body. This “green blood” is also known for its maintenance of the circulatory, immune, and digestive systems. Highest sources: dark leafy greens like kale, arugula & swiss chard, wheatgrass, the blue- green algae spirulina, herbs, and all green fruits/veggies. 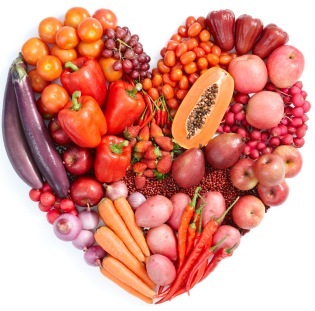 The nutrient lycopene of the carotenoid family is responsible for the red color/hue found in many fruits & vegetables. Shown to protect blood vessels around the heart and in the neck better than vitamins A, E, and CoQ10, lycopene also delivers oxygen to body tissues. Also shown to prevent against various cancers, specifically prostate and breast. Highest Sources: ripe red tomatoes, red chile peppers (cayenne), red bell peppers, watermelon, and grapefruit. Beta-Carotene, alpha-carotene, and zeaxanthin are a few of the nutrients which give produce its yellow and orange hues. These are foods that promote good eye health, the building of strong bones, and boosting the immune system by fighting off free radicals. 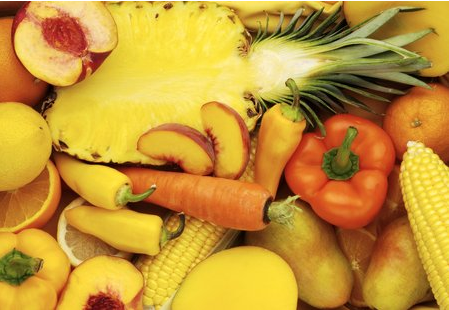 Highest sources: carrots, pineapple, squash, sweet potatoes, cantaloupe, yellow bell peppers, corn, and mangoes. 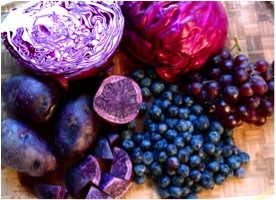 Anthocyanins are the compounds in various fruits and vegetables which give them a blue/purple pigment. This antioxidant acting member of the flavonoid family is known for its various benefits such as improving brain function & memory, reducing the risk of stroke and heart disease, promote healthy aging, and protect cells. Highest Sources: blueberries, eggplant, purple grapes, plums, blackberries, and figs. White fruits and vegetables are high in the compounds anthoxanthins and allcin. Anthoxanthins have antioxidant properties which lower the risk for cancer and heart disease. Allcin lowers high blood pressure & cholesterol and reduces the risk of stroke. 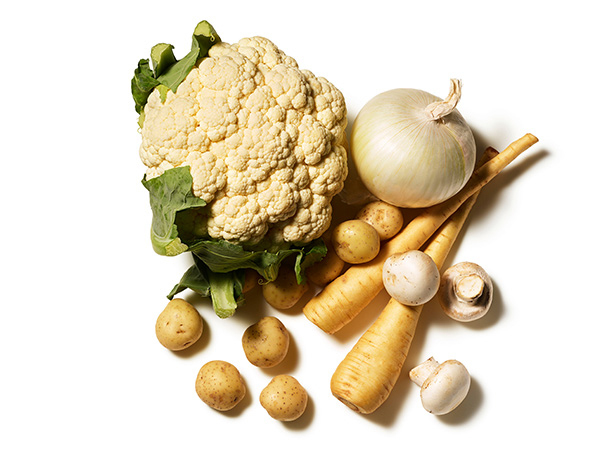 Highest sources: onions, potatoes, bananas, peaches, jicama, white mushrooms, and cauliflower. It’s important to diversify your palate! Each fruit and vegetable contains a unique color which represents compounds & molecules present that will help aid in maintaining the body’s wellness. Don’t just marvel at the rainbow, eat it!